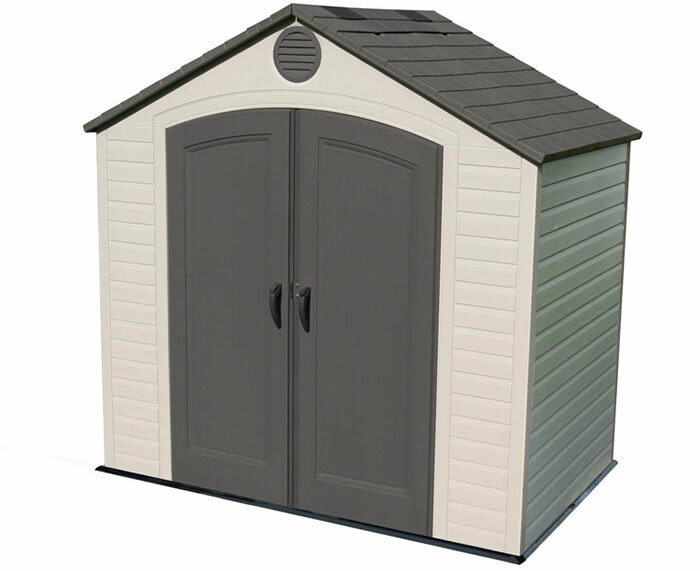 Our 8x10 Meridian wood storage building from Handy Home Products is an excellent solution for outdoor storage and a great addition to your backyard. 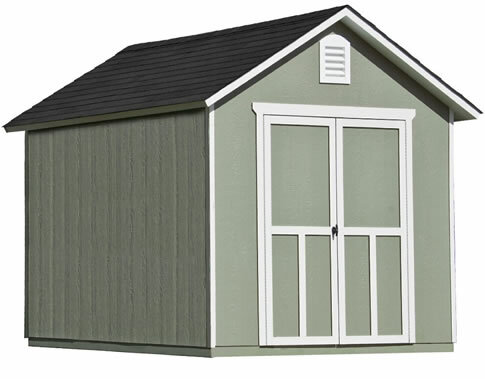 It's gable roof style come standard with 6' 4" tall walls and offer plenty of overhead space at 9' 2" peak height. 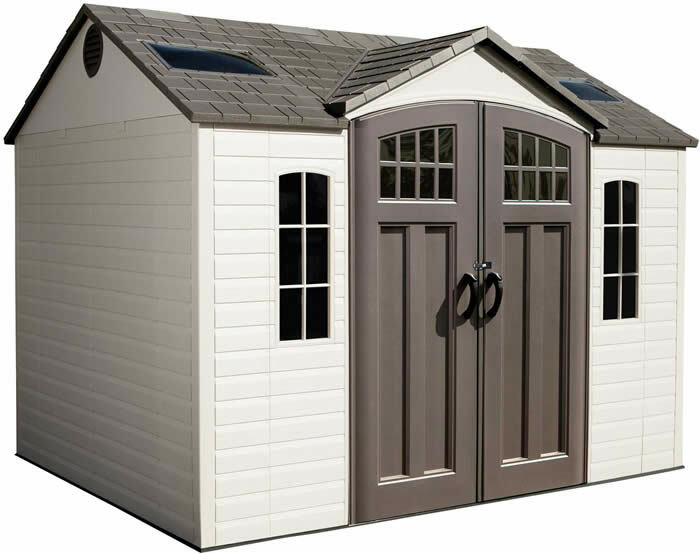 Extra wide double doors measure 56" wide. Everything is pre-cut and ready for assembly! 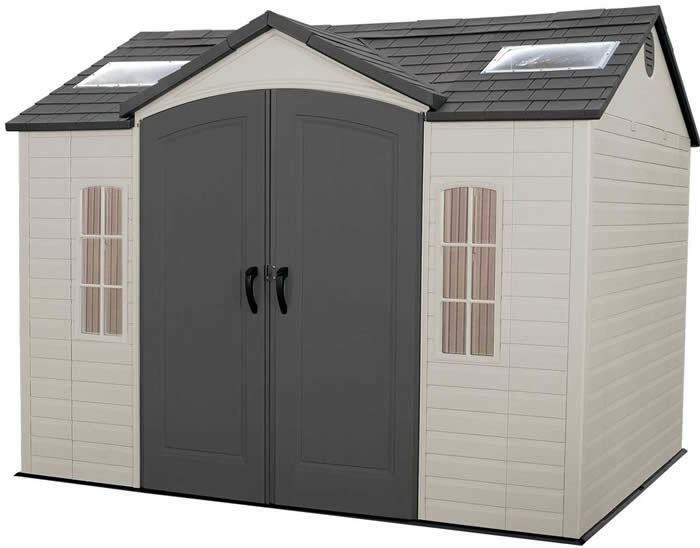 The doors are pre-assembled and pre-hung to save you even more time! 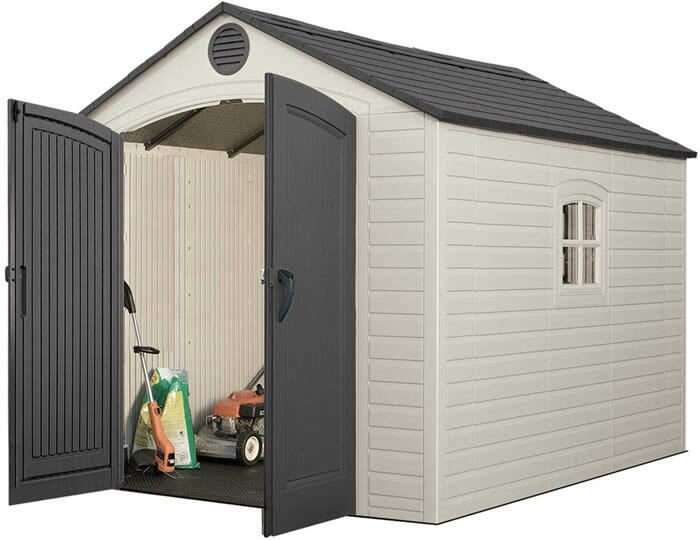 The shed doors come with a durable, rust resistant swivel hasp and galvanized steel hinges. Hinges are continuous from top to bottom to prevent sagging. Smartside siding is treated to prevent fungal decay and insect infestation. Siding is also pre-primed and ready for your finishing coat of paint! 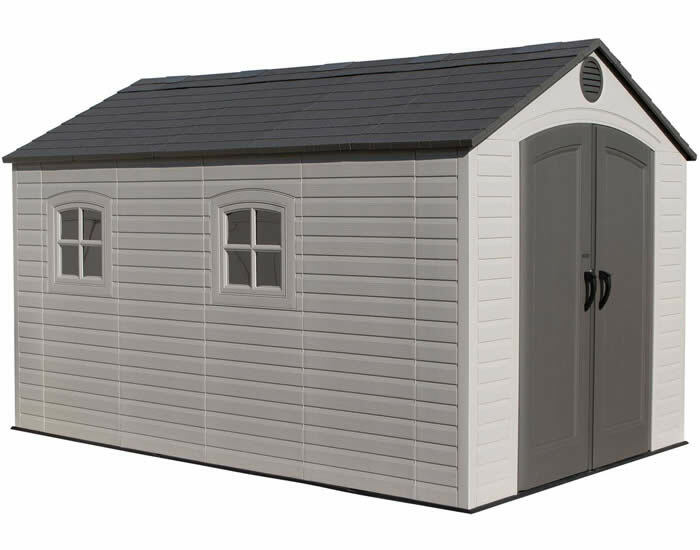 Also included is an illustrated owners manual written with the novice in mind to help any average do-it-yourself builder, with no carpentry skills assemble the shed with ease! Wood flooring included!